Ammonia (NH3) can be in excess during the breakdown of organic materials, particularly manure. Ammonia is a breakdown product of urea (CH4N20), which is present in animal urine and feces, but also arises wherever significant forms of protein and amines are present in decaying organic matter. 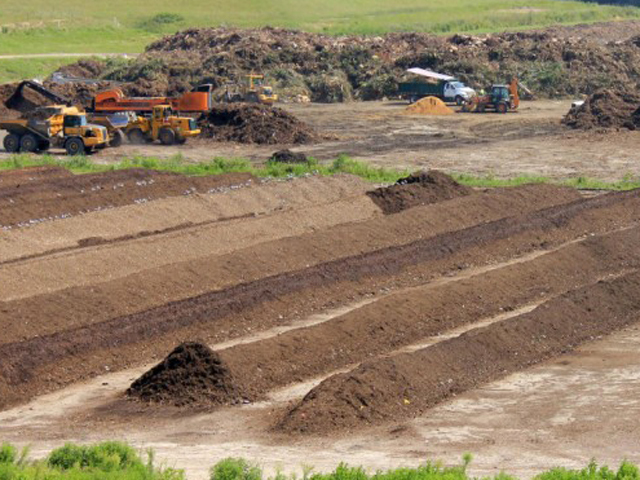 Certain microbes in the composting possess the enzyme urease, which catalyzes the conversion of the urea molecule into ammonia molecules and a carbon dioxide molecule. 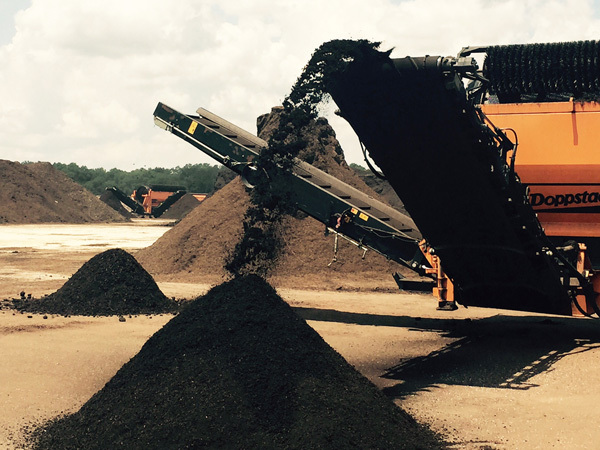 When piles are turned, particularly during the first few weeks of composting, ammonia can be volatilized, lost to the atmosphere, in significant quantities. Insufficient carbon in a pile (low C:N Ratio) will usually cause a rise in pH and exasperate the generation and loss of ammonia. Utilizing the inoculant to generate high levels of bacterial activity in the outer edges of the piles, and remaining in a static phase for several weeks, reduces ammonia losses and allows nitrifying bacteria to oxidize ammonia, firstly into nitrite and then nitrate. The nitrate is readily consumed by bacteria to obtain energy and becomes bound (immobilized) in the bacteria cells as organic N (R-NH2). Catalyst inoculants are a precise blend of enzyme-producing bacteria and fungi that are harmless to plants, aquatic life and beneficial soil organisms. Actinomycetes, which reproduce very rapidly, produce specific enzymes that are capable of breaking down tough, woody debris like stems and bark, as well as urea (CH4N2O), which is present in animal urine and feces. In a compost pile, fungi are responsible for the decomposition of complex plant polymers. They spread and grow quickly by producing cells and filaments that can attack organic residues too dry, acidic or low in nitrogen for bacterial decomposition. Working together, the fungi and actinomycetes dramatically accelerate the composting process. The increase in available nitrogen as a result of the Harvest Quest MSAP® Method reduces the amount of supplemental synthetic fertilizer required, significantly reducing cost and stress on the environment.